The environment above and underwater is precious! To save our underwater world, these are the steps to follow! Since August 2014, Dr. Robert Hofrichter of Mare-Mundi and Family Koblens of Dive2gether have been working together to set up a cooperation focussed on marine research and protection. As of 2016 Dive2gether is a “Mare-Mundi Field Station”. 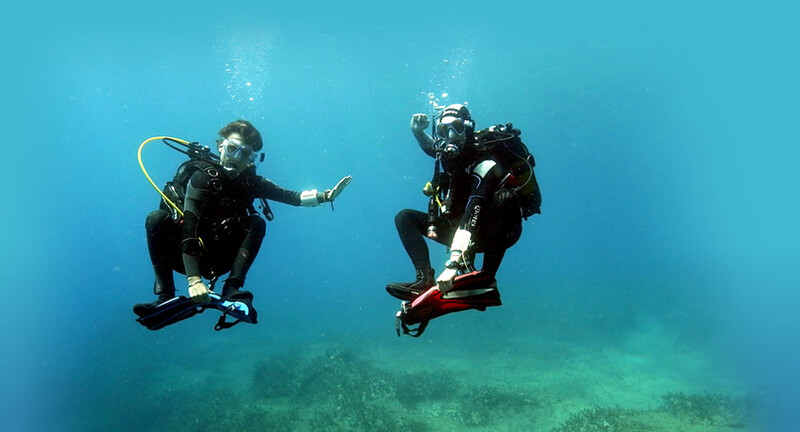 More than just an eco-minded diving school Dive2gether is becoming a centre for marine research and education where recreational divers and snorkelers will be able to learn about the wonders of the aquatic world and its need for protection. If you are interested in taking part in these activities, then please contact us as there are only limited places available! For information on the cooperation from the side of Mare-Mundi you can also take a look at their website (in German only).